Choose the show time and the day on which you would like to see it. The Neshaminy Valley Music Theatre is a not-for-profit, scholarship grant organization presenting a spectacular Broadway-type musical stage show each spring at the Neshaminy High School Theatre/Auditorium. Since our inception in 1956, NVMT has awarded more than $150,000 in scholarship grants to graduating high school students who furthered their education in the fine or performing arts. Please see our Scholarship Grants page for details on this year’s recipients. Our group of non-professional volunteers takes pride in producing professional-grade stage musicals as well as servicing the community through our scholarship grant program. Over the years, our dedication to these high standards has drawn the best talent the area has to offer. We welcome your involvement and participation in the Music Theatre and thank you for your interest in our group! People with all levels of experience are encouraged to be part of the NVMT family! 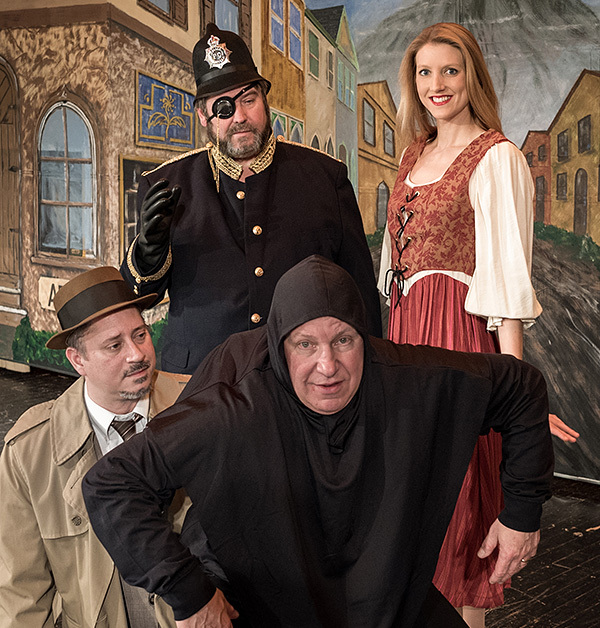 In April, 2018 NVMT was proud to present as our 2018 musical production the Mel Brooks laugh-a-minute Broadway musical YOUNG FRANKENSTEIN, based on the famous Gene Wilder film of the same name. The group currently is at work developing one of Broadway’s most beloved musical comedies of all time, Lerner & Loewe’s MY FAIR LADY for our Spring, 2019 production. Jackie Laurence and Kyle Rodgers, winners for Outstanding Leading Actress and Supporting Actor in a Musical perform before George Kinsley′s winning set from NVMT′s 2017 HELLO, DOLLY! For four consecutive years Neshaminy Valley Music Theatre has been honored with national recognition from the international music and arts organization, The International Music and Entertainment Association (IMEA). The IMEA Awards Celebration for shows produced in 2017 was held on June 16, 2018 at the Paramount Arts Center in Ashland, KY. Our 2017 production of HELLO, DOLLY! is the only production to have been nominated in all nine IMEA categories and we are very proud that NVMT members won three awards for Outstanding Performance! Congratulations to Jackie Laurence for winning as Outstanding Leading Actress in a Musical, Kyle Rodgers as Outstanding Supporting Actor in a Musical and George Kinsley for Outstanding Scenic Design for a Musical. Congratulations as well as to all of our other nominees for this very special honor! The IMEA Awards are presented annually by the International Music and Entertainment Association (IMEA) headquartered in Cave Springs, Georgia. 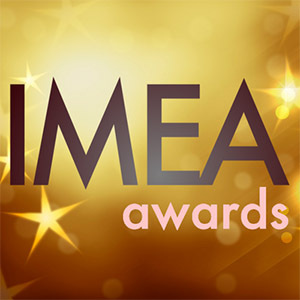 IMEA is a non-profit organization dedicated to promoting and serving as an advocate for individuals and organizations within the performing arts and entertainment industries. We are pleased to announce that NVMT’s 2017 production of Hello, Dolly! has been nominated in every category winning three awards! Thank you so much to everyone in the Hello, Dolly! company! 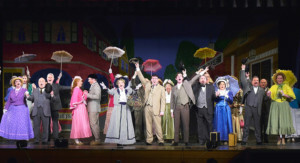 Outstanding Production of a Musical – HELLO, DOLLY! Outstanding Leading Actress in a Musical – JACKIE LAURENCE – WINNER! Outstanding Supporting Actor in a Musical – KYLE RODGERS – WINNER! Outstanding Scenic Design of a Musical – GEORGE KINSLEY (sets) – WINNER!